Seagrove offers a variety of places to stay and enjoy the old Florida feel of scenic 30a. With homes on the gulf front you can walk from your door onto the beach and enjoy the amazing view that these Seagrove homes have to offer. Set back from the beach allowing you the convenience of location and still breathtaking views a waterview rental is very appealing. If you are in need of a romantic weekend getaway for two, enjoy a bed & breakfast and sip your morning coffee on the veranda. Homes that are hidden from the bustling beachfront highway allow you to experience a beach cottage made private by palmettos and magnolia trees only a bikes ride from the beach or to your favorite Seagrove markets and shops. Seagrove Beach vacation rentals will make your next visit to 30a an unforgettable experience. 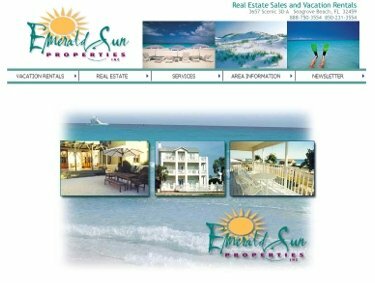 Emerald Sun Properties is a vacation rental company based in Seagrove Beach that offers properties along the Emerald Coast, including Scenic 30-A. Garrett Realty is a vacation rental company based in Seagrove Beach. 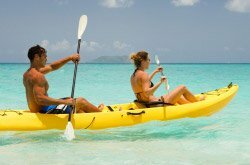 They have a wide selection of condominiums, townhomes, duplexes and homes along the Emerald Coast. 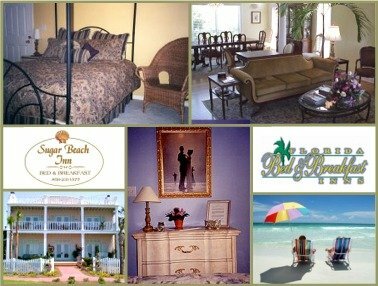 Sunburst Vacation Rentals is a locally-owned company located in Seagrove Beach that offers vacation rentals, property management and other real estate services along the Emerald Coast with specific emphasis along Scenic 30-A.